Boo’s offers specialty items to help patients during their cancer journey. Integrative care explores a mind/body/spirit approach to healing. Clinical dietitians provide nutrition counseling and support for patients. Our team offers support to help relieve patients of pain and lessen other symptoms caused by cancer. Highly skilled therapists at Fox Chase work with patients to maximize recovery of physical functions for return to everyday activities at home and work. 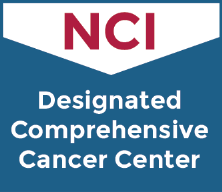 Our team offers support for patient experiencing cancer-related fatigue (CRF). Fox Chase’s Lymphedema Treatment Program uses complete decongestive physiotherapy (CDP) to treat lymphedema patients. Occupational therapy is designed to help achieve a maximum level of independent living, both physically and psychologically. Physical therapy promotes strength, range of motion, endurance and efficient and safe gait and balance. We offer diagnostic and therapeutic treatments for voice, speech, cognition and swallowing functions. We provide support to help you and your loved ones deal with the challenges and demands of a cancer diagnosis. Our program offers education and counseling for women dealing with menopausal changes, sexual/intimacy issues and fertility concerns. We also offer survivorship gynecologic services.